An outbreak of measles in Michigan includes cases reported in Oakland, Wayne and Washtenaw counties. Measles is highly contagious but a vaccine is safe and effective for providing protection. Everyone is encouraged to check their vaccination status. If you do not have a record of two documented measles (MMR) vaccines, or if you are unsure if you have been vaccinated or have had measles in the past, contact your healthcare provider about getting vaccinated. 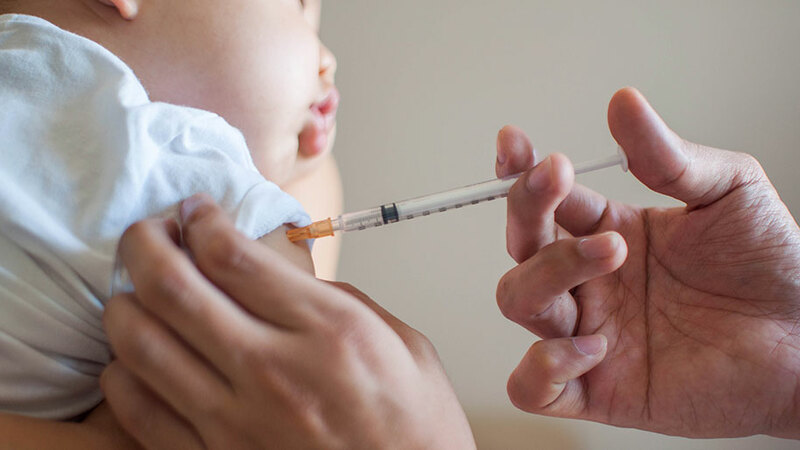 The MMR vaccine is available from primary health care providers and at some local pharmacies. You can also contact the Washtenaw County Health Department at (734) 544-6700. A viral infection of the respiratory system, measles has no treatment. And its initial danger lies in the ease of transmission. Measles is easily spread through airborne droplets from the nose, throat and mouth through coughing, sneezing and speaking. The infected droplets may survive for hours or days on surfaces. Symptoms usually begin 7-14 days after exposure, but can appear as long as 21 days after exposure. A rash that is read, raised, blotchy; usually starts on face, spreads to torso, arms and legs 3-5 days after symptoms begin. If you suspect measles, and need medical treatment. Call your doctor or emergency room before arriving so preparations can be made to prevent exposure to others.